Exports from India rose 12.36% in December, 2017 to $27.03 billion year-on-year due to strong performance by sectors like engineering goods and petroleum products. 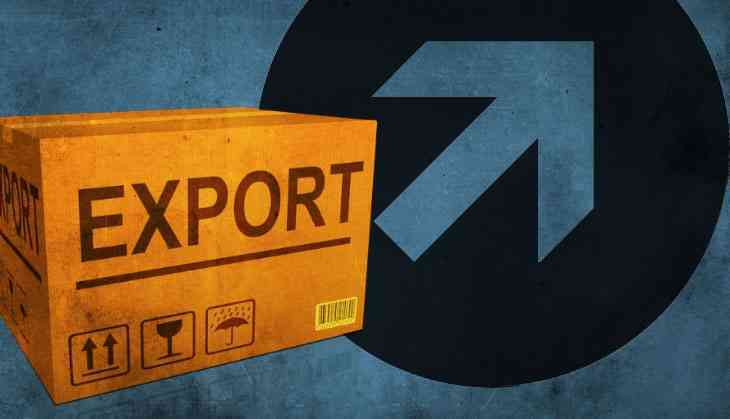 Imports surged 21.1% to $41.91 billion, on increased demand of crude oil and gold. In November, 2017, exports were up 30.6% from a year ago, with a 19.6% rise in imports. The healthy rise in goods exports from India is an indication that World economy has begun to pick up and Indian economy is set to benefit from the trend. Indian exports have grown in 15 out of last 16 months. "Exports have been on a positive trajectory since August 2016 to December 2017 with a dip of 1.1% in the month of October 2017," the government said in a statement. The best thing about India's export story is a rise of over 25% in engineering exports. Though, exports of ready-made garments declined by 8% to $1.33 billion in the period under review. Garment exports sector is a major job creator in the country and a decline in shipments from this sector should get the government worried. On the other hand, gold imports surged by 71.5% to $3.39 billion in December, 2017 as against $1.97 billion in December 2016.The imports of petroleum products and crude oil increased by 35% to $10.34 billion in December, 2017 from $7.66 billion in the year ago period. The trade deficit for India grew by 41% at $14.88 billion in the same period. For the April- December, 2017-18 period exports were at $223.512 billion as against $199.467 billion in the year-ago period. This is a 12.05% growth in the period under consideration. The imports during the same period of the fiscal 2017-18 were reported at $338.369 billion as against $277.89 billion, registering a growth of 21.76%. The trade deficit in the April-December period increased to $114.85 billion.